I’m dipping into the “Do We Care?” category again tonight, as I once did with one of my personal favorites, Chuck. But make no mistake, I’m not here to defend Life Unexpected with the fervor that I did Chuck. I am, for reasons I’m not quite sure of, still watching, so here’s a taste of what you’ve been missing. Life Unexpected has continued to be a show that has underachieved its potential. When it premiered last year, it was heralded as a throwback to WB shows of old, a Gilmore Girls-style family dramedy with lots of heart and snappy dialogue. Instead, the first season focused on typical triangles and teen angst. Lux flipped between trusting and hating her newfound parents every episode. Baze and Ryan fought over Cate, though it was difficult to see why. Lux rebelled against her new life, then rebelled against her past, and the cycle repeated. The CW was quite generous to order a second season, and I had hopes that it would find its footing now that the central plot machinations were complete. The premise – neglected foster child Lux, now 16, finds her biological parents, who eventually agree to adopt her – is still unique and promising. Seeing these characters stumble, grow, and mature as a family could be really enjoyable, and at times we get glimpses of that. The cast is talented and likable, and they seem to be really invested in the show. They recently came together for a hilarious behind the scenes sketch. (I can't embed this, but seriously, check it out). The problem is that the characters and stories are not nearly as likable as the people who play them. Lux (Britt Robertson) is meant to be a wise-beyond-her-years, witty protagonist adjusting to her new world. The show repeatedly hits us over the head with statements of her precociousness. Just last night she was told by two different characters, “You are a grown-up, trying to act like a kid,” and “You seem a lot older than 16!” Yet the writing doesn’t support these claims. Lux continually acts selfish, ungrateful, and immature. When she’s caught (cheating on tests or lying about her whereabouts, for example), she takes no responsibility and blames it on her poor upbringing, which leads to Cate and Baze feeling guilty. We recognize that she had a very rough life growing up without a family, but she rarely seems to acknowledge that she now has more supportive adults in her life than most normal kids ever will. It has become very difficult to feel sympathy for her at this point. 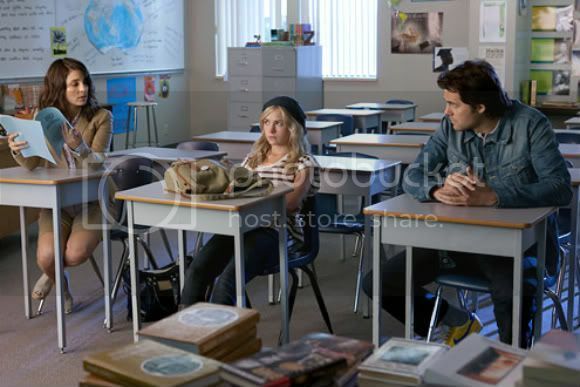 Plot-wise, the writers aren’t helping this season by saddling Lux with a dreaded student-teacher relationship storyline. Shaun Sippos plays Eric (or “Mr. Daniels”), whom Lux met before they realized they realized their age difference and that he was her English teacher. They are not ignoring the inappropriateness, but the story is crafted as though we should be rooting for Lux and Eric, and feeling sympathy that this unfortunate obstacle is in their way. Again they refer to Lux’s “old spirit” to try and justify things, but the fact is that it’s icky, immoral, and illegal. Last night the situation was compared to Baze dating his boss, as though they’re in any way similar. “But she’s so mature and they really really really like each other!” they want us to believe. No. In fact, it’s a bad message to send. If Eric was as great of a guy as they’re trying to portray him, he would put a stop to it immediately, but with each episode they take a step further, this week making out in their underwear in a lake. It’s really becoming quite uncomfortable to watch, and I’m losing hope that there will be any acceptable resolution. Possibly less likable than Lux is her mom, Cate Cassidy (Shiri Appleby). Cate continues to be grating, whiny, and neurotic. When combined with continual lies (most recently she secretly continued to take birth control pills after agreeing to try and have a baby), it’s difficult to empathize with her most of the time. She's really just plain annoying most of the time. In contrast, her now husband Ryan (Kerr Smith) has been a saint, reacting gracefully and with a level-head to the entire Lux situation and everything else that Cate dumps on him. This season has tried to make their struggles a little more balanced by having him sleep with his ex, Julia, in a flashback to when he and Cate briefly broke up. He’s also been just a little bit too demanding with his desire to have a baby. Still, it’s really tough at times to see what he sees in Cate. They are about to start couples therapy, so maybe the show will actually examine this question a little bit. The heart of the show, in my opinion, lies in Nate “Baze” Bazile (Kristoffer Polaha). Baze is immature, irresponsible, and sometimes makes poor choices, but of all the adults, his character is the one that has actually shown growth. With Cate, I find myself uttering “serves you right” when things don’t work out for her, but Baze is easy to genuinely root for. Part of this is his natural charm, so effortlessly portrayed by Polaha. But more importantly, he seems to take responsibility for his actions and make real efforts to be a better man and father. The fact that he is not so uptight is a welcome relief from the rest of the judgmental cast of characters. His relationship with Lux is by far the most interesting on the show, and I wish they would get more time together. Another highlight this season has been a guest role by Emma Caulfield (known to Buffy the Vampire Slayer fans as Anya). She’s playing Baze’s boss and current love interest. It’s a predictable storyline, but the actors have great chemistry, and I love seeing Caulfield on TV again. I hope she sticks around. The stories themselves rely far too much on coincidence to be believable. Lux meets a charming young man at Baze’s bar; he just happens to be a teacher at her school. Nate hires and sleeps with a new bartender; she just happens to be Ryan’s sister. Baze’s company retreat is at a nice hotel; it just happens to be the same hotel that Ryan and Cate are at for their mini-honeymoon. These things work if your show takes place in a small town, but in Portland, it’s pretty far-fetched. The dialogue has flashes of wit, but more often goes for heavy-handed platitudes while characters lecture each other. Last night, while in the midst of being the Worst Chaperones Ever, Cate told Ryan, “Maybe that’s the reason you can’t look yourself in the mirror, because you can’t recognize yourself either!” Do real people really talk like that? As a whole, the show has enough sparkling moments that make me keep watching. This post has sounded pretty critical, and I wish they made some different choices, but there are elements, specifically the lighter, funnier moments, that really click. I still feel like if they toned it down, removed some of the soapy antics, allowed the cast to have a little more fun, and took a tone similar to say, Parenthood, it could be a really enjoyable show. Make it about these overgrown children finding their way as parents, not about contrived relationship drama, and you've got a great show. Unfortunately, there’s not going to be much longer for this ship to right itself. It was just confirmed that Life will not be getting a back nine order, which means its chances for renewal next season are next to nil. The producers should have time to craft somewhat of a series finale, so the lingering fans will get some satisfaction. 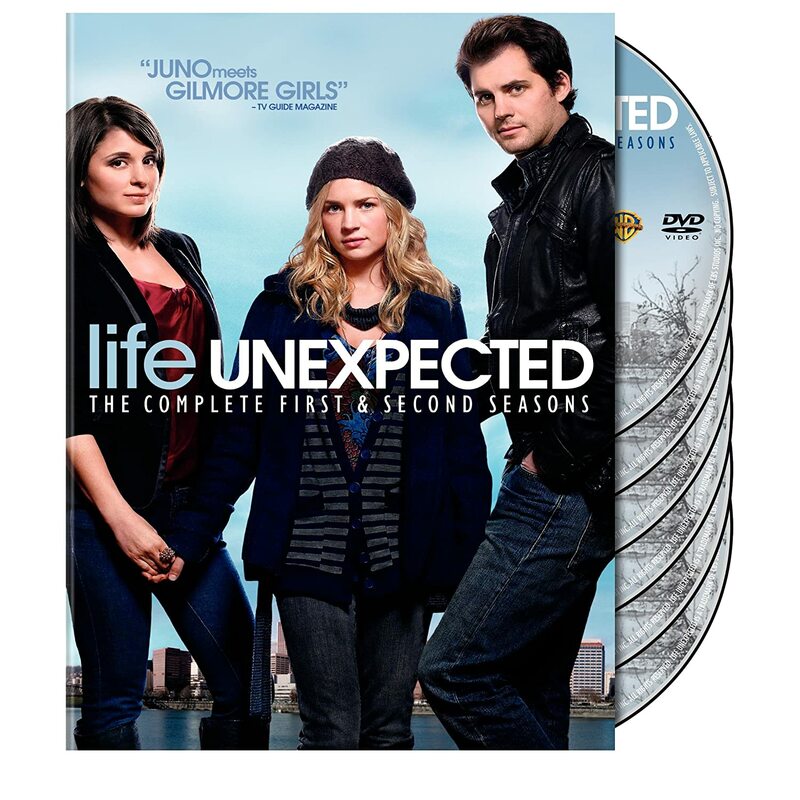 Is anyone else out there still on board with Life Unexpected? Did you try it out and one point and give up? Let me know in the comments!